Director: James Ricketson. Music: David Milroy. CD (ST) Festival. D 31059. 1993. 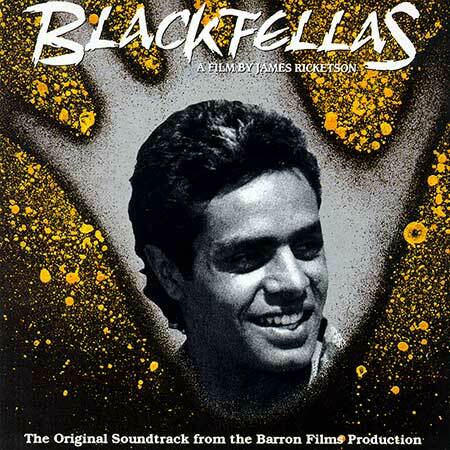 Blackfellas Theme - Opening Titles. (David Milroy). (Control). David Milroy. Camp Theme - Opening Titles. (David Milroy). (Control). David Milroy. Is The Man Guilty? (Mark Bin Bakar). (Control). v: Mark Bin Bakar. Waru (Fire). (Neil Murray, George Rurrambu). (Trafalgar). v: Warumpi Band. Dancing In The Moonlight. (Buna Lawrie). (BMG). v: Coloured Stone. From The Bush. (Neil Murray/George Rurrambu/Sammy Butcher). (Trafalgar). v: Warumpi Band. Aching In My Body. (Lorrae Coffin). (Control). v: Lorrae Coffin. Last Kiss. (Frank). (Control). v: Donna Atkins. Breadline. (Neil Murray). (Trafalgar). v: Warumpi Band. When A Man Loves A Woman. (Mark Bin Bakar). (Control). v: Mark Bin Bakar. Lonely Life. (Mackie Coaby). (BMG). v: Coloured Stone. Our Love Will Never Die. (Mark Bin Bakar). (Control). v: Donna Atkins. My Island Home. (Neil Murray). (Trafalgar). v: Warumpi Band. No Fear. (Neil Murray/Freddie Tallis). (Trafalgar). v: Warumpi Band. Gotta Be Strong. (Sammy Butcher/Neil Murray/George Rurrambu). (Trafalgar). v: Warumpi Band. Blackfellas Theme - Closing Titles. (David Milroy). (Control). David Milroy.